In March 2013, I led a workshop for Choctaw writers. It equipped advanced and beginners alike with knowledge and resources to write a Choctaw Removal story in fiction form, based on family histories. Why is this important? Because each year, these stories are lost with the passing of our elders. This workshop had a twofold design. The first was to help the attendees in their writing journey. The second was focused on the honorable task of preserving Choctaw Removal stories. These stories are in danger of not only being lost forever with the forgotten memories of our elders, but obscurity in online and federal archives. Our mission is to preserve these in a way that not only insures our children and grandchildren can someday read them, but that they reach the mainstream audience in the United States and perhaps around the world. How do we accomplish this? Through fiction. In our media driven society, we can provide highly entertaining yet highly informative stories to share with the hearts and minds of all. 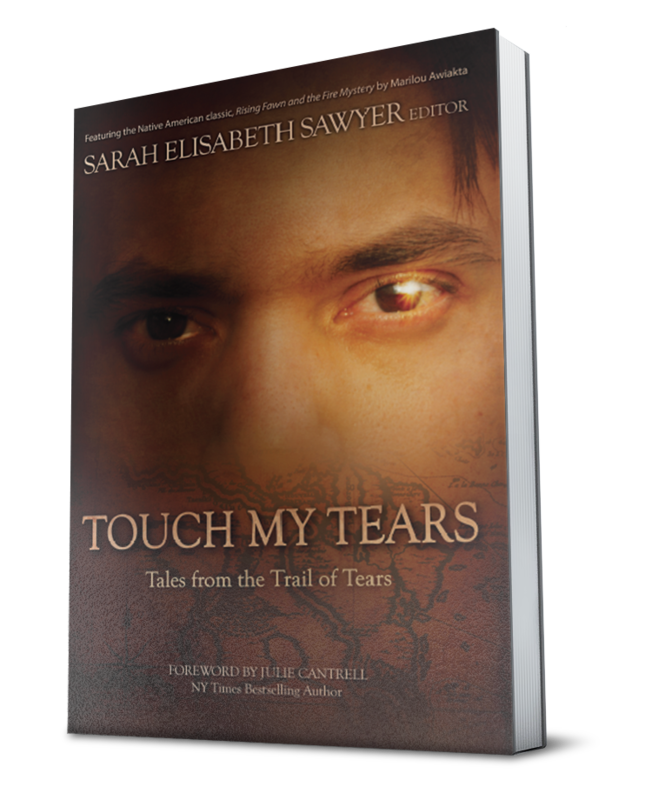 Those who attended the workshop and met the guidelines for publication joined their fellow scribes in a special anthology of Choctaw Removal stories entitled Touch My Tears: Tales from the Trail of Tears. The goal of this book was to accurately portray the tragedies of that period while including the aspect of hope. This Removal is more commonly known as the Trail of Tears, and each year the Choctaw Nation of Oklahoma holds a commemorative walk along the original route to honor our ancestors who died and those who survived the long march. The title of the workshop, Historical Fiction, Preserving Choctaw Removal Stories, best explains the content. The historical fiction genre presents historical events, but in an entertaining fashion. In 2012, I was selected to be a part of the Artist Leadership Program of the Smithsonian’s National Museum of the American Indian (NMAI). This workshop was a continuation of that project, and the Choctaw Nation of Oklahoma supported it as well. Twenty writers from Oklahoma, Tennessee, North Carolina, Mississippi, and Texas attended. NMAI Outreach Coordinator for the Artist Leadership Program, Keevin Lewis from Washington, D.C., also joined us for the all day event. Jason Lewis, of Carthage, Mississippi said, “Just seeing the energy of people working on this part of our history as Choctaw people, that’s impacting me and inspiring me to get to work.” Jason Lewis was part of the Choctaw Tribal Language Program for the Mississippi Band of Choctaws.